As you continue to exercise and spend time outdoors during these hot, summer months. 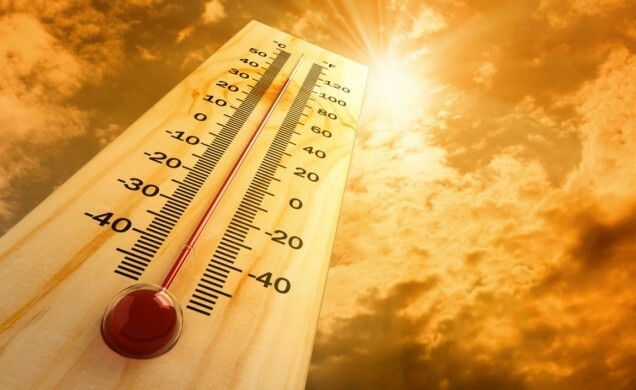 It is imperative to keep in mind the toll that intense heat can take on your body. There are multiple conditions that can be caused by the heat during the summer including dehydration and heat stroke. Most of these conditions are easily preventable, if you listen to your body and take care of yourself. One condition that can cause many other problems is dehydration. Dehydration is the lack of sufficient water in the body. It is caused by lack of water, as well as heat exposure. Heat exposure causes dehydration through your bodyâ€™s cooling system: sweating. Sweat is composed of water, potassium and salt, which are all crucial to the bodyâ€™s normal functioning. When you sweat too much without replenishing these supplies, you run into problems. Some symptoms of dehydration include: fatigue, loss of appetite, flushed skin, heat intolerance, light-headedness, dark-colored urine, and dry cough (2). Drink plenty of fluids! These include water, sport drinks, and juice. Sports drinks and juice are great to drink while in the sun for long durations. They provide nutrients, such as potassium and salt, which are needed to keep you moving and healthy. Avoiding alcohol and caffeine will be beneficial to keeping your body hydrated, as these aid in dehydration. During workouts in the summer heat, make sure to drink 16-20 ounces of water about one to two hours before exercising, as well as throughout your entire exercise outside. Keep a bottle or two of water with you at all times and take breaks to re-hydrate. Following exercise, try to drink about three cups of water to aid in replacing the water lost from your exercise. Eat fruits and vegetables! Many fruits and vegetables have high water content. Watermelon, cucumbers, strawberries, celery, spinach, and peppers are all excellent examples of food with high water content. Snacking on these will aid in keeping you hydrated. Wear light clothes! Wearing clothes that aid in keeping you cool will help prevent sweating, which in turn helps prevent dehydration. It is important to stay hydrated so you feel better in general, as well as so your body performs better. Dehydration leads to a number of other more serious conditions if not prevented/treated. The main way to prevent this condition is to drink plenty of fluids and be aware of how your body feels! If you notice yourself feeling more tired than usual or lightheaded, simply take a break, sit down and drink some water or a sports drink. You can still exercise and spend time outdoors, just make sure to take care of your body while doing so! Blog post contributed by Good Sam’s community partner Urban Perform.